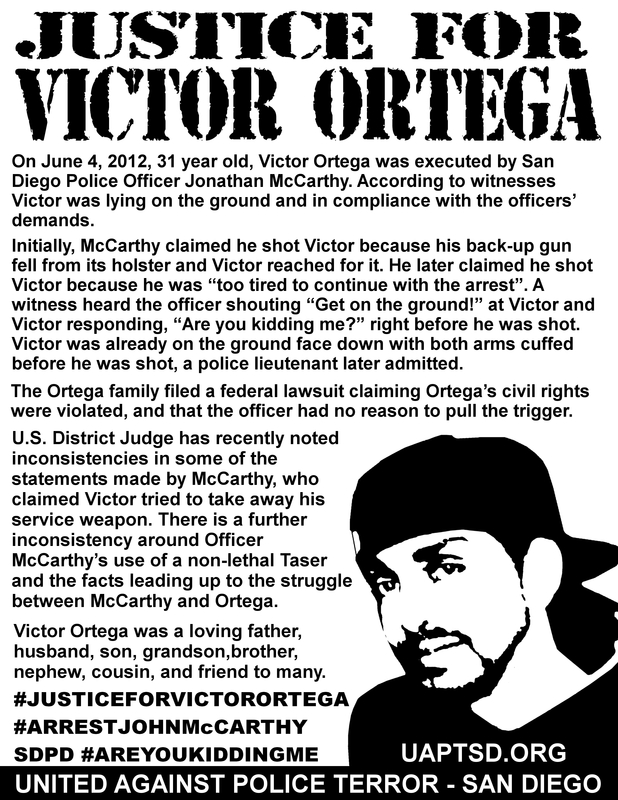 On June 4, 2012, 31 year old, Victor Ortega was executed by San Diego Police Officer Jonathan McCarthy. According to witnesses Victor was lying on the ground and in compliance with the officers’ demands. Initially, McCarthy claimed he shot Victor because his back-up gun fell from its holster and Victor reached for it. He later claimed he shot Victor because he was “too tired to continue with the arrest”. A witness heard the officer shouting “Get on the ground!” at Victor and Victor responding, “Are you kidding me?” right before he was shot. 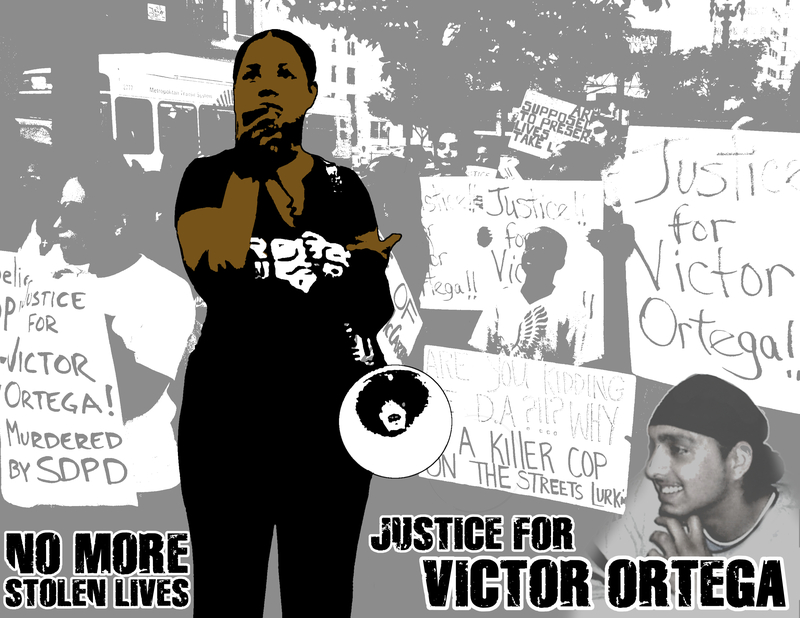 Victor was already on the ground face down with both arms cuffed before he was shot, a police lieutenant later admitted. The Ortega family filed a federal lawsuit claiming Ortega’s civil rights were violated, and that the officer had no reason to pull the trigger. U.S. District Judge has recently noted inconsistencies in some of the statements made by McCarthy, who claimed Victor tried to take away his service weapon. There is a further inconsistency around Officer McCarthy’s use of a non-lethal Taser and the facts leading up to the struggle between McCarthy and Ortega. Victor Ortega was a loving father, husband, son, grandson,brother, nephew, cousin, and friend to many people. Recently, we have received increased intimidation by police during these rallies. Many, if not all of these actions, involve families like the Ortegas who have young children and, like Victor himself, did not and do not pose a threat to police or to public safety. Police intimidation is a tactic to silence families and anyone who speaks up against these injustices. We are calling on our community for united support in these actions for these families cannot and should not be harassed when speaking the truth about the death of their loved ones. Like Ferguson’s fight for justice for Mike Brown, our duty is to fight San Diego’s stolen lives murdered by those who supposedly “protect and serve” our community. 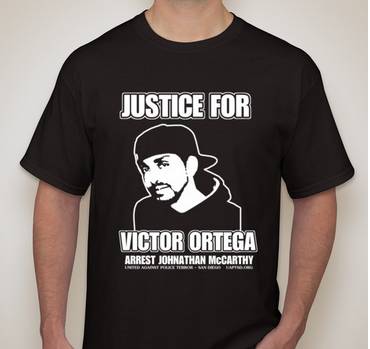 All funds will be sent directly to the Ortega family for help with legal fees, and support for Victor’s two children, who will never see their loving father again. 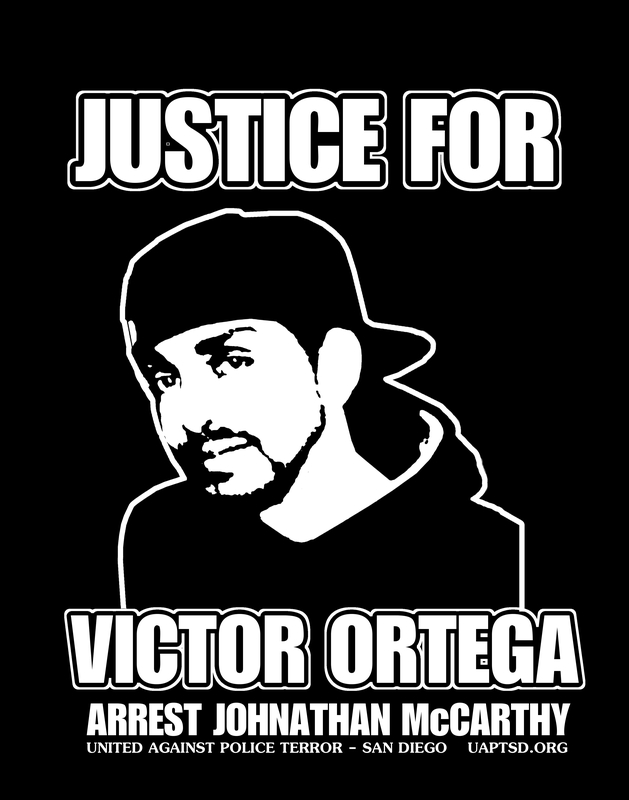 MONTHLY JUSTICE FOR VICTOR ORTEGA RALLIES WILL BEGIN JANUARY 2015 STAY TUNED FOR MORE INFORMATION, FOLLOW US ON FACEBOOK, JOIN THIS FACEBOOK EVENT PAGE FOR UPDATES.